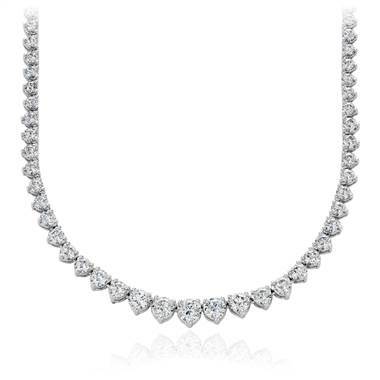 Cushion cuts diamonds are square or rectangular brilliant cuts with rounded corners and curved sides, a pillow-like shape. 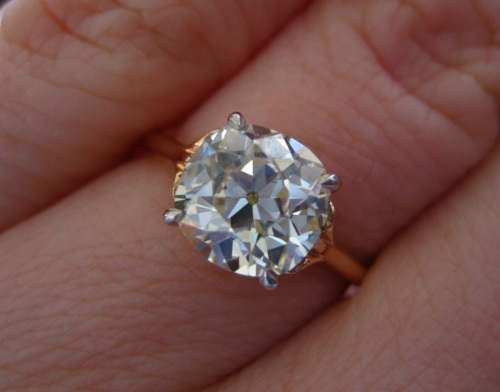 There are several types of cushion cuts on the market including modern, antique, and many branded cushions. 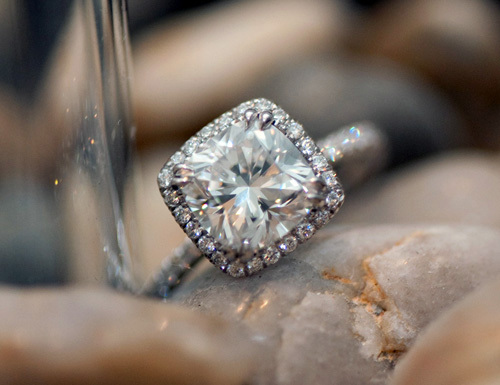 Cushion cuts can be found with a wide variety of facet patterns that are known as “Cushion Brilliant” or “Modified Cushion Brilliant” on lab reports. There are multiple variations of these cuts, and personal preference is key here. Antique Cushions are known for their steeper crowns, smaller tables, and larger culets. With the amount of variation within the world of Cushion cuts, there are no steadfast rules for what equals the very best. 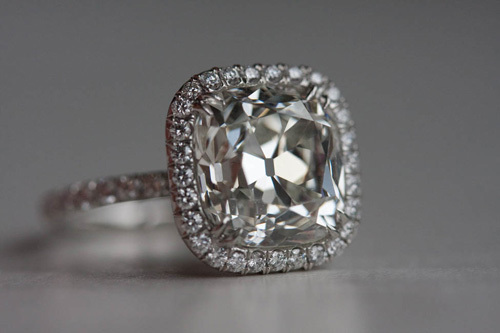 As with other fancy shapes, Cushion cuts cannot be defined by numbers, but there are some basic guidelines to consider. 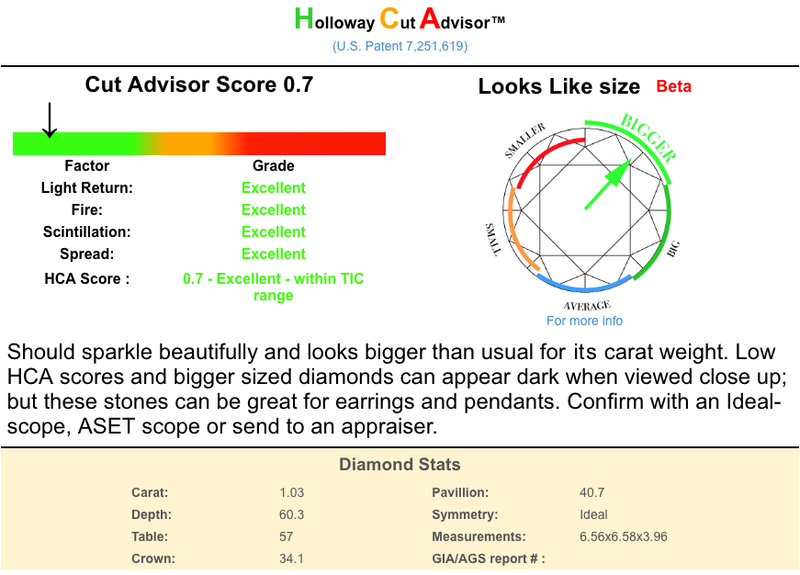 Visit Cushion Cut Diamond Prices for the latest retail diamond price statistics. 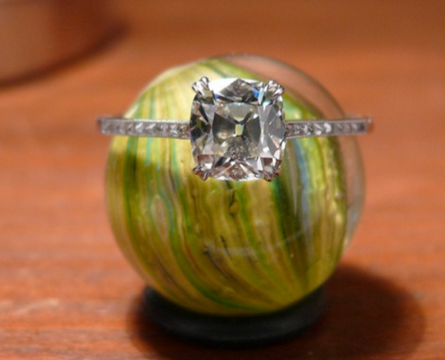 Some Cushion cuts may have larger facets, so inclusions may be easier to see. The variations in facet patterns may also enable the viewer to see color more easily, but this should be judged on a stone by stone basis, and some may enjoy more color in the stone, especially with antique styled cushions. 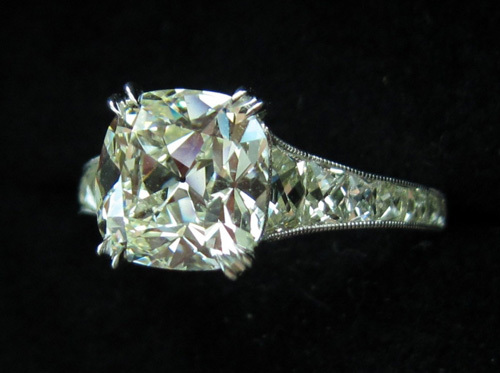 Some Cushions are cut to greater depth percentages and these stones will generally look smaller from the “face up” position for their relative carat weights, but there is so much variation with Cushion cuts, stones with greater spread can be found. 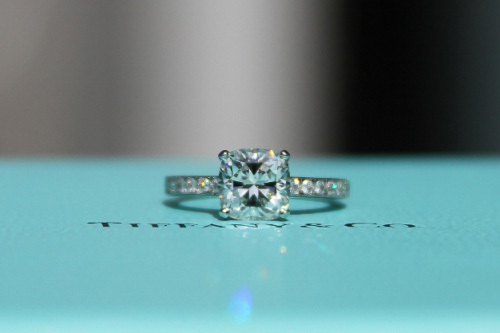 Cushion Cuts Under ASET Scope, is it me or the diamonds?!? Cushion Cut Help Request w/ Pictures! Show me your AVC/AVOEC diamonds!